Every year in central Nebraska USA, from late February to early April, a spectacle of nature occurs. 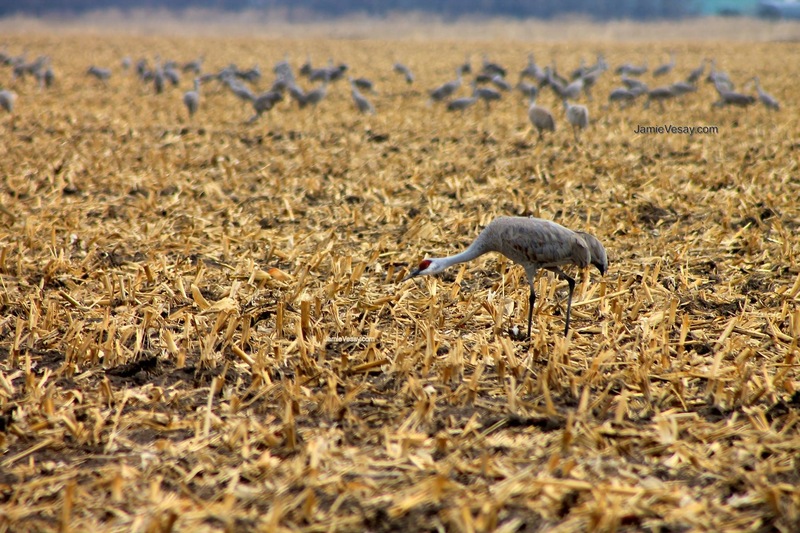 Earthlings are graced by the presence of four hundred thousand Sandhill cranes, as they pause their migration and stop there on their way north. It is nothing short of magical. For me, the trip is a retreat. All devices are turned off, and soon the time seems to slow. The vast open sky gifts you an aerial canvas of panoramic clouds, top-ten sunsets and sunrises, and cool, crisp breathable air. Time between sunrise and sunset is spent traveling along the country roads. Pull over to a safe place away from traffic (stay in your car!) and enjoy them as they gather in cut-corn fields, eating and socializing, and flying from field to field. 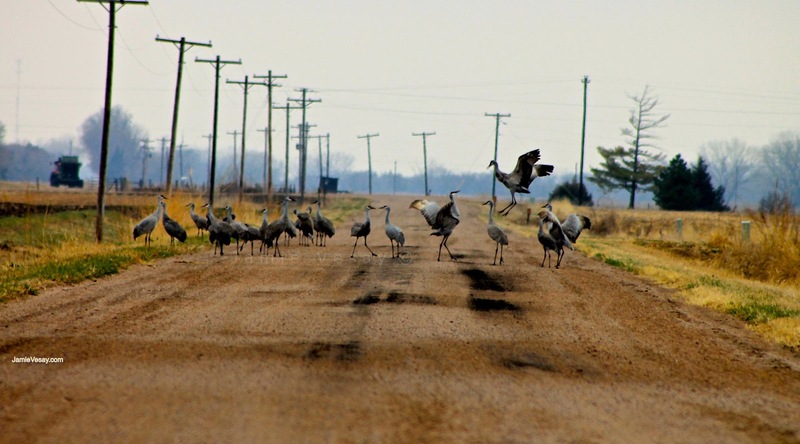 Watch for the crane dance, when they jump and frolic and call. If you find a road off the beaten path and less traveled, you might see them hanging out – ON the road. And more dancing! At sunrise or sunset, be in a crane watch blind on the river. 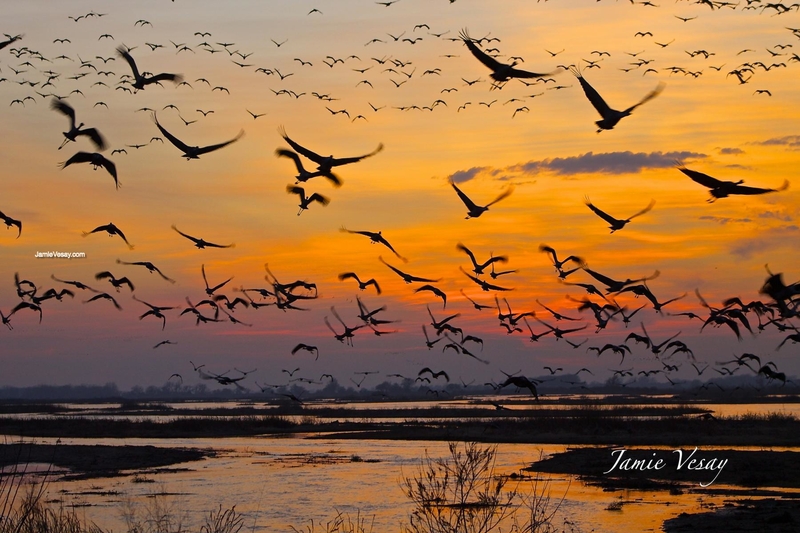 The cranes return to the shallow waters of the Platte River near sunset and roost there over night. They begin a new day by leaving the river at dawn to return to the fields – and the process cycles one more time. Many of you know, beyond my personal retreat to see the cranes, I have been developing a screenplay that is set in this place during this time. The latest is I am turning it all into a book, since it is so freakin’ visual – and the script format has limited my story-telling. 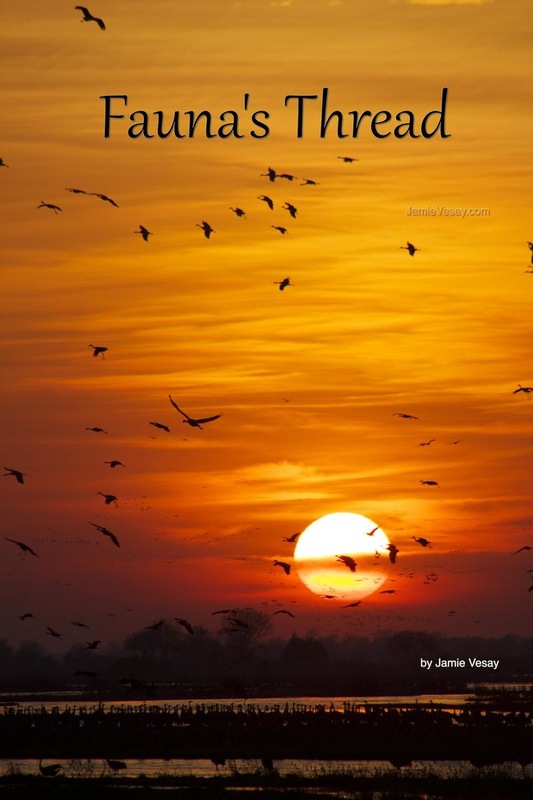 Ironically, upon completion of the book, a few first readers will be filmmakers who have expressed interest. There is great hope of making a movie about it one day. For now, you should plan a visit. Just go. Read my book when it comes out. Then go again. Breathe, see, embrace – enjoy.